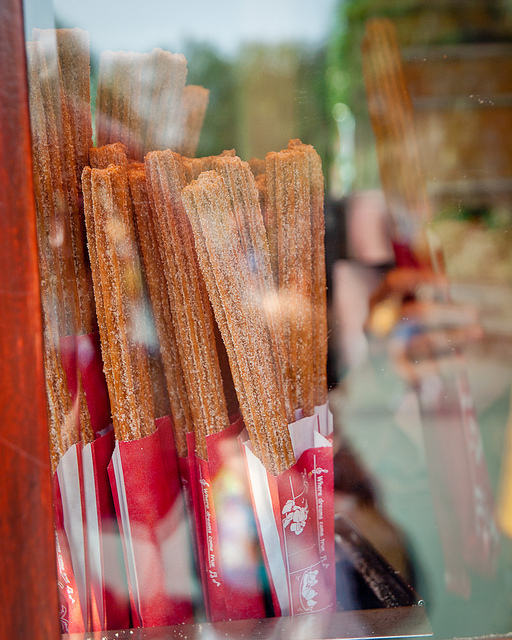 One iconic Disney snack at both Disneyland and Disney World is the churro. Everyone walks past these stands, only to turn back around and grab a delicious snack! 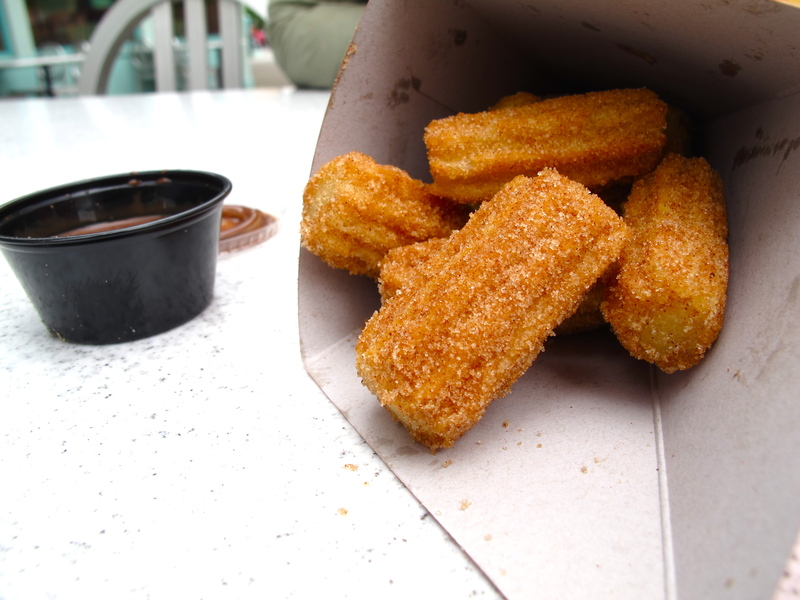 These perfectly cooked churros are covered in cinnamon sugar, and we recommend you grab some chocolate dipping sauce too! Now, you will be able to Disneyfy your snack time and enjoy these delicious churros at home with this easy recipe! In a medium-sized saucepan whisk together water, salt, sugar and vegetable oil. Bring to a boil and remove from heat. Slowly add flour while stirring. Mix until the dough forms into a ball. Let cool. Heat oil in a deep pan on medium-high heat. Squeeze 6-inch long strips of dough into the hot oil (you may also make churro bites). Cut the end with a pair of kitchen scissors. Let cook until golden brown. Remove from oil and place on paper towel-lined plate. After a few seconds, transfer to the cinnamon sugar and carefully roll sugar until completely coated. Mix cinnamon and sugar in a shallow dish until well incorporated. Heat heavy whipping cream in a small pot until hot, but do not boil. Remove from heat and stir in vanilla. Add chocolate chips and let them sit 1 minute to melt. Stir until the mixture becomes a thick, chocolate sauce.